Wow! A Thumbs Down to My Cousin Vinny! Roger says in his review "My Cousin Vinny is a movie that meanders along going nowhere in particular, and then lightning strikes. I didn't get much involved in it, and yet individual moments and some of the performances were very funny. It's the kind of movie home video was invented for: Not worth the trip to the theater, but slam it into the VCR and you get your rental's worth." This movie is no work of art but it is much, much better than Roger thinks it is. Not worth a trip to the theater? Marisa Tomei gives a great performance as a strong woman who stands behind and also leads her man when she needs to. How many men owe their success to a woman like this? I also thought the movie was entertaining and funny. Mona Lisa Vito on the witness stand is a scene I play over and over again in my mind. Priceless! IMDB has it 7.3 and Rotten Tomatoes has it at 89%. 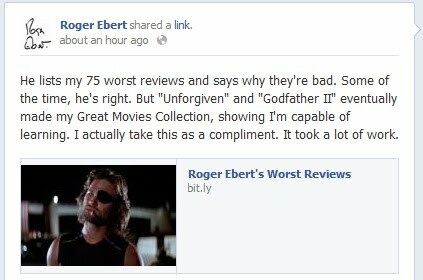 Roger you hurt my feelings with this review. Amen. I think Roger must have seen this on a bad day. He complains that he didn't feel for the defendants, but the movie isn't called "Two Jersey Guys." I agree with Roger, as I typically do. If I cared more (or at all) about the future of the two defendants I'd also care more about Vinny and his increasing sense of desperation.